Today's best price of $9.49 is not the cheapest - we have seen it sold for $3.90 less than that on 22 Mar 2018 (that could have been a used or refurbished item though). Click here to see prices from other sellers. 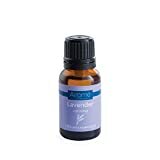 Airome 100% Certified Pure Therapeutic Grade Essential Oils 0.5 oz Choose Scent! "Candle Warmers, Etc. Lavender Essential Oil"